Giving back to the community is a corner stone of many organization’s corporate culture; however, one local company is doing more to put community outreach in the hands of its employees. Mt. 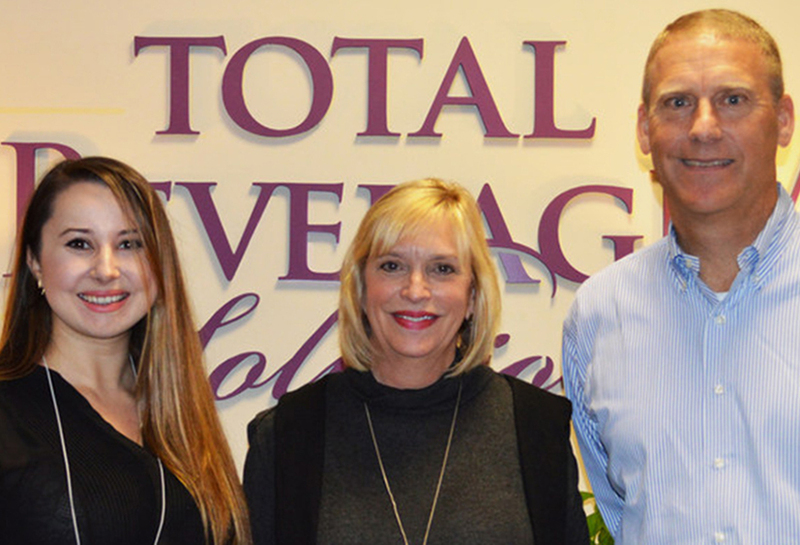 Pleasant based importer and supplier, Total Beverage Solution (TBS), is pleased to announce Marina Terzieva, as the inaugural recipient of the “First Class Award.” Fellow employees, Mea Brooks and Lindsay Waters, were also acknowledged for honorable mention. Terzieva, Accounting Manager at TBS, was voted “First Class” by her colleagues for displaying qualities of dedication, positive attitude and extemporary teamwork throughout the year. Beyond the recognition and prize of $1,000, Terzieva was also given $1,000 to donate to the charity of her choice, Camp Happy Days. For more information on Camp Happy Days, visit camphappydays.org. Total Beverage Solution is a Mt. Pleasant, SC based importer and supplier of premium beer, wine and spirits. Founded in 2002 by CEO and President Dave Pardus, the company has seen year-on-year growth for over 15 years. Building upon Pardus’ family values of altruism, Total Beverage Solution has a foundation of giving back that encompasses its 16-year history. The “First Class” award is another extension of the organizational culture, allowing employees to be more engaged in the company’s values.